Are you underestimating the costs incurred in your buy-to-let investment? According to research carried out by Platinum Property Partners, UK landlords are at risk of overestimating the profitability of their buy-to-let (BTL) investment by neglecting to take into account key running costs, something we at MoneytotheMasses.com have been saying for years. Costs such as letting agent fees, mortgage interest, maintenance and marketing fees average at a massive £8,359 per year. Almost one in eight (12%) landlords do not take any costs into consideration when calculating the financial performance of their BTL portfolio, leaving them particularly vulnerable to misjudging the returns they will make from their investment. According to the research 75% of UK landlords incurring the top 10 most common costs don't account for them when calculating the return on their buy-to-let investments. This oversight can result in returns being overstated providing an incorrect comparison with other types of investment. Based on a typical portfolio of two rental properties, the total bill associated with running a buy-to-let portfolio could add up to £16,718 every year, which in turn equals 52% of the average gross annual rental income (£32,388). 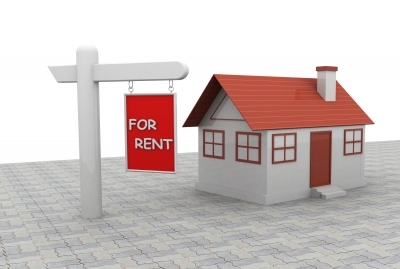 In any one year, up to 60% of landlords face void periods, however, only 12% of these take this into account when assessing the ongoing health of their property portfolio. This means a staggering 88% aren’t acknowledging the impact this has on their rental income. By including estimates of void periods in their financial measurements, landlords will have a better picture of the potential net returns they will get from their investment. Steve Bolton, Founder and Chairman of Platinum Property Partners (PPP) comments: “The buy-to-let market is a hot ticket investment at the moment for budding landlords looking to generate an income and good level of capital growth from rental property. This is particularly the case now that new pension freedoms have opened the gates to alternative financial plans for retirement. But becoming a landlord isn’t a walk in the park, and running a successful BTL portfolio takes continued investments of time and money on top of your initial lump sum investment. Many landlords appear to be burying their heads in the sands and are seriously in the dark about the ‘true’ value of the returns from their BTL investment if they don’t take into consideration regular outgoings such as letting agent fees, repairs, redecoration costs, and mortgage interest. Property investors need to keep note of all these additional expenses to make sure they are evaluating their returns rigorously, as that’s the only safeguard to check if they’re still on course to achieve their goal of retirement income or to supplement or replace their salary. People gravitate to buy-to-let because it is easy to understand. Yet there are more profitable and easier ways to invest. Buy-to-let is a fairly illiquid investment and you can’t just withdraw a £1,000 lump sum from your investment as you can when investing in funds for example. Also there is capital gains tax to consider which you can mitigate far more easily when investing in funds. The returns from the latter can be tax-free if you invest via an ISA. Plus you can spread your investment risk by investing in a range of assets via funds (stocks and shares, bonds etc). Investing solely in a buy-to-let is betting on the performance of one asset, akin to putting all your eggs in one basket. If investors are happy with the risk then buy-to-let can diversify a portfolio and I suggest investors research the type of property and area where they might invest as returns can vary dramatically from area to area and between different types of property. Some areas of the UK have experienced little or no growth in prices since the recession reducing any returns from buy-to-let investments. By contrast you can easily build a portfolio of funds, investing in a range of assets, with annual running costs of less than 1% a year, way below that of a buy-to-let portfolio. If you would like to know how to become a successful DIY investor and run your own money Moneytothemasses.com has created a FREE short series of emails telling you the simple techniques that City investors use to their advantage and you can too.